Most police departments slap on municipal license plates to their unmarked cars, making them easy to spot. Look for license plates composed solely of numbers, with the word "official" at the bottom, or containing any odd designs. 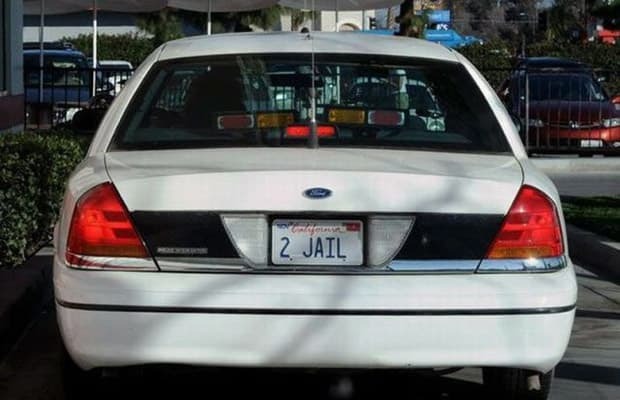 This rule doesn't apply in some states, which allow officers to use their civilian cars and plates. Then you're just screwed.